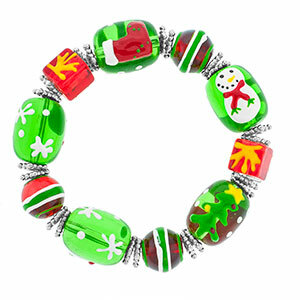 This glass bead bracelet is filled with wonderful images of Winter. Snowflakes, snowmen, stockings and so much more. Mostly red, green and white.